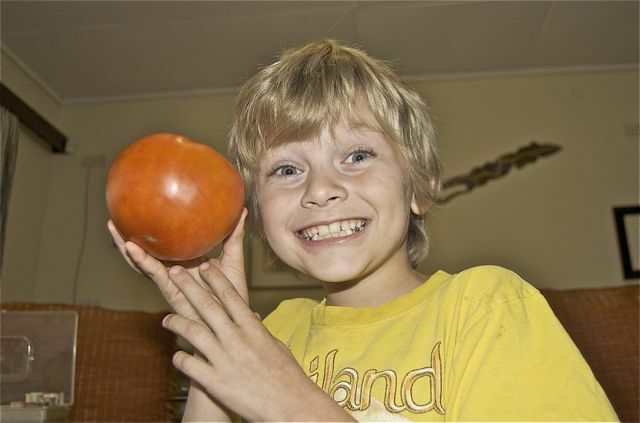 I’ve a one-pound tomato one I grown. It’s in the kitchen on the scale were I weighed the tomato. I wasn’t happy when dad said he’d slice it and eat it when I picked it. So I picked it after he went to work. Here’s one thing for sure I don’t eat tomatoes. I planted the tomato from seed. At first it was just a flower. Then when the flower died I didn’t notice it until it was big. And for the last month it stayed green and the same size until recently and then I pick it. 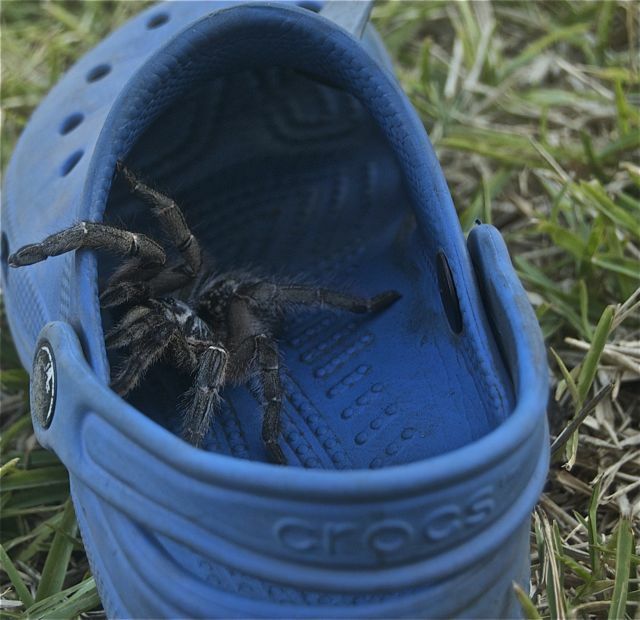 There’s a spider in my shoe, in my shoe! 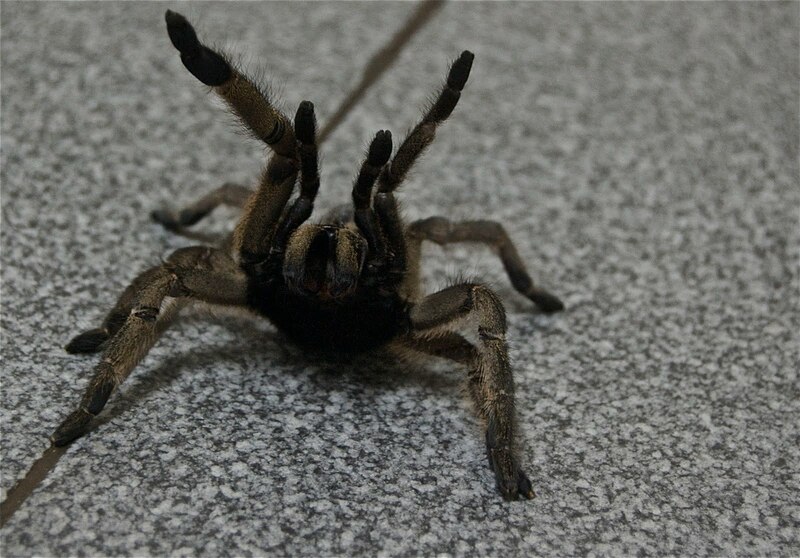 Today Colin found a bunch of Horned Baboon spiders… EEEEEEEEEEEEEEEEEK!!!! Mom was in the kitchen, Colin had 6 baboon spiders in a bucket. I think mom was terrified more than I was. Colin still was in his school uniform. Why did mom send me to take pictures? Colin was chasing me around with a 5-inch baboon spider on his hand. 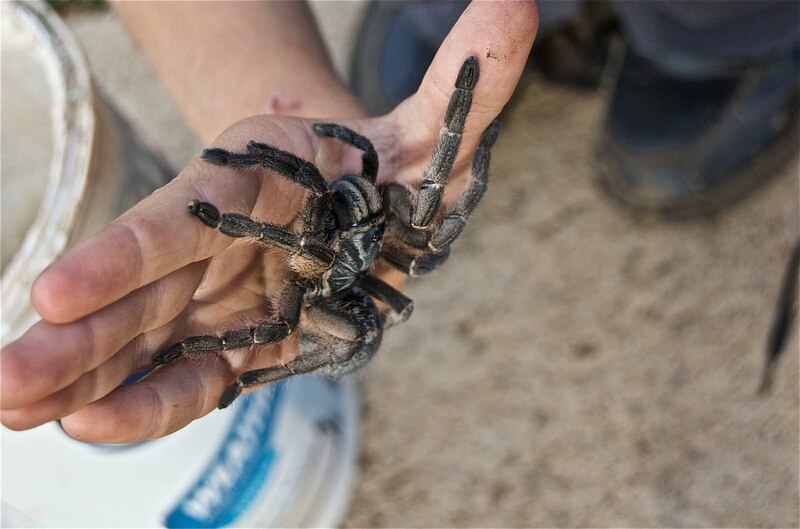 We found out that those baboon spiders can’t climb metal, only one can so we put it with the biggest spider, that fought with the 2nd biggest was put in the little box. When dad got home he put the 2 biggest spiders on the kitchen floor, mom screamed again. We picked some peppers from the garden. The peppers just came up, we did not plant them. Yesterday at dinner my dad told Colin that the peppers were sweet. Dad took a bite of the pepper to show him they were not hot. What was Colin thinking? Dad did not bite into the middle of the pepper. Colin took a big bite right in the middle of it and he, screamed and he screamed! Colin yelled, "Liar!" Dad bit into the middle of the pepper and ran to get the milk. If dad runs to get the milk I will not try it. That means it is one hot pepper. These are very strange peppers. 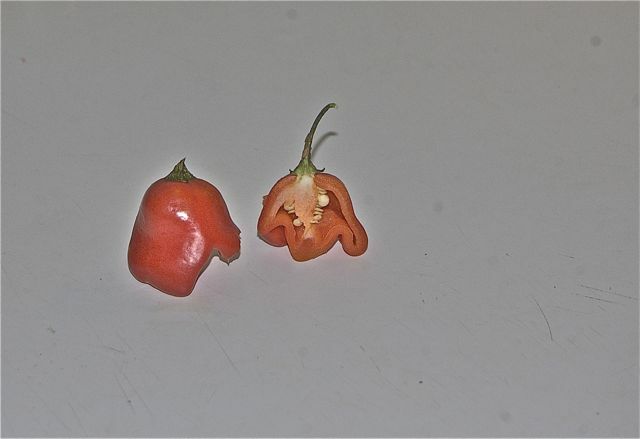 If you bite where there are no seeds they are sweeter than the sweetest bell pepper. If you bite where there are seeds they are hotter than a jalepeno. Toady I am getting ready to go to Green Camp for the second time. The last time I was there I did lots of things like planting a tree. I'm so anxious to see it again. I also caught scary lizards. I wonder what we are going to do this time?